Fishing is a great Aussie pastime, but if you really want to catch a monster fish then you need to try deep sea fishing. If you’ve spent time in the shallows along the Gold Coast and patiently waited for a fish that’s big enough to not throw back, then you’ve paid your dues; it’s time to get on the water and see what’s under it. Deep sea fishing is also known as off-shore fishing, and it is in water that is at last 30 feet in depth. For deep sea fishing on the Gold Coast, we’ve gotten some great tips for first timers. Firstly, if you’re heading out for a deep-sea fishing adventure it’s best to do your research. When you know what you want to catch you need to know where to find it. You can download a fishing app to try and get a fishing forecast, however nothing beats asking the locals. Work out what it is you want to catch and make sure you bring all the right gear. If you decide you want some legendary status and are planning on heading after some Marlin, then you might need to rethink your rod. Whilst you can pick up fishing gear that can be used universally, when you are dealing with the bigger fish, you might need a bigger rod! Know your bait. If you are looking to catch a particular fish, you might want to rethink your bait. Since this is your first-time deep-sea fishing, you could always experiment with a few different baits and see what works for you. Whilst you might see fishing shows and they are pulling massive Tunas out of the water, you have no idea just how long they sat there waiting. Be patient and prepare yourself to jump into action when a fish comes to take a nibble on your bait. Not sure where to start? Why not book a full day deep sea fishing adventure with Sea Probe Fishing Charters on the Gold Coast? We will show you where to fish, the best bait to use, and we have all the right equipment on board, plus we offer plenty of fishing tips, tuition and some friendly banter along the way. 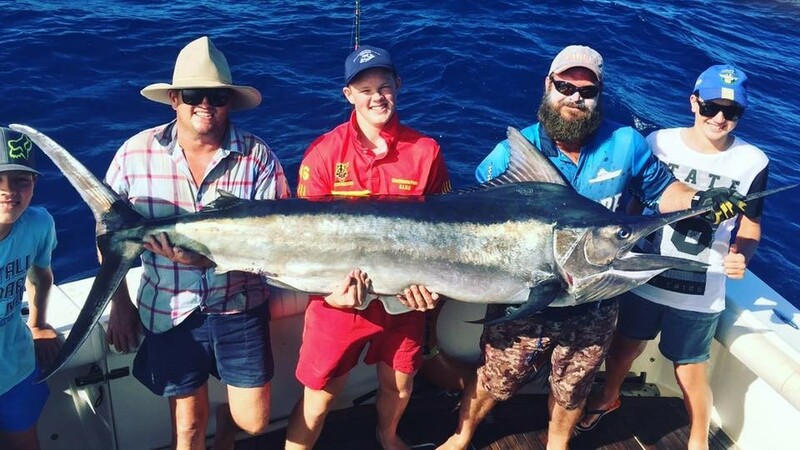 If you’ve dreamt of catching a Cobia, Mackerel, Marlin, Trag, Tuskfish, Snapper, Jewfish, Tuna, Wahoo, Tailor or Trevally to name a few, why not book a deep-sea fishing triup with Sea Probe Fishing Charters. Captain Gavin is the Gold Coast’s leading fishing skipper.